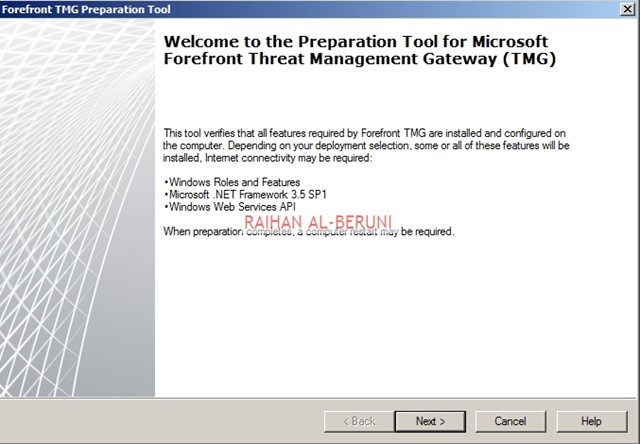 Microsoft has released successor of Forefront Client Security i.e. 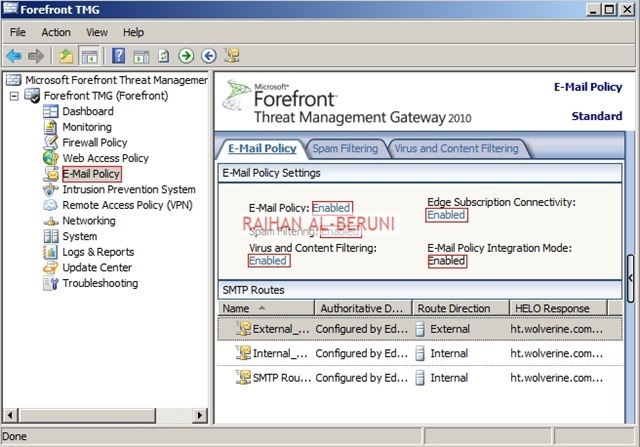 Forefront Endpoint Protection 2010. 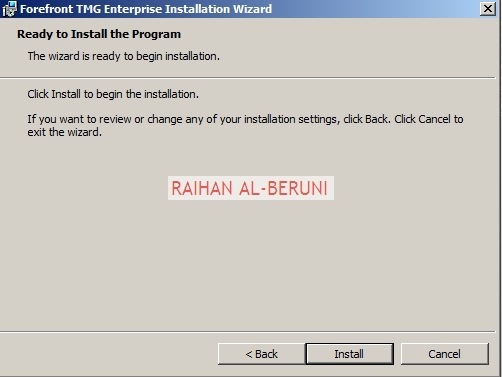 SCCM 2007 SP2 installed with Hardware Inventory, Software Distribution and Desired Configuration Management are configured. What’s new? 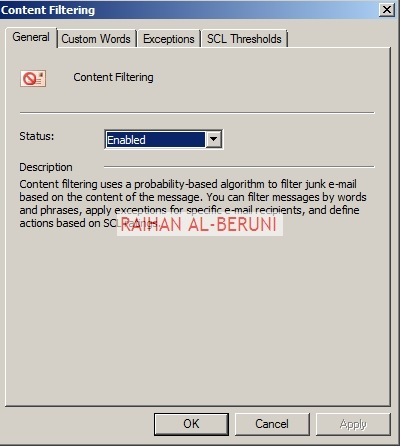 Forefront Endpoint Protection is built on SCCM. FEP provides single point of management and monitoring facilities. 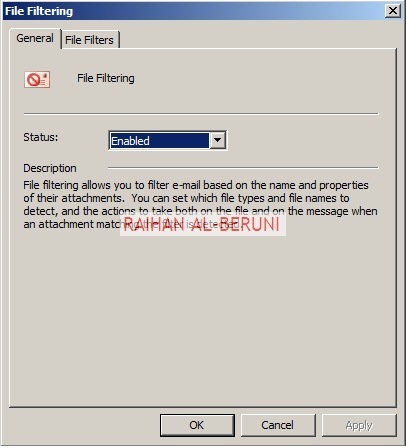 FEP protects against the latest malware and rootkits with low false positives. 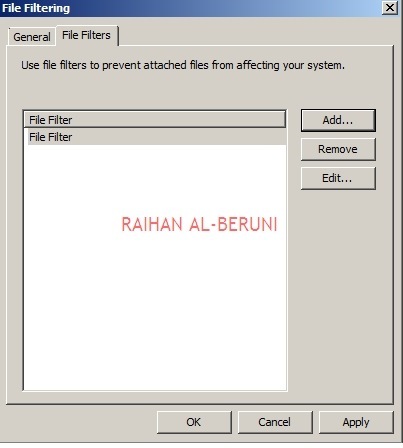 FEP detects system behavior and file reputation data to identify unknown threats. FEP keeps employees productive with low performance impact scanning. 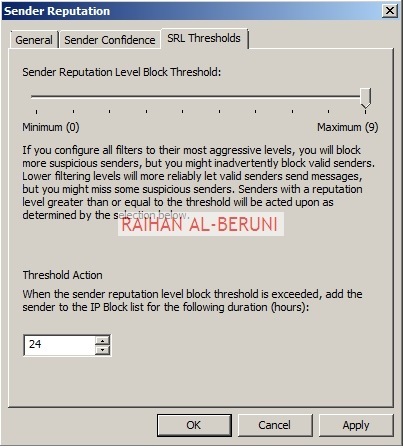 FEP helps administrators centrally manage Windows Firewall protections across the enterprise. 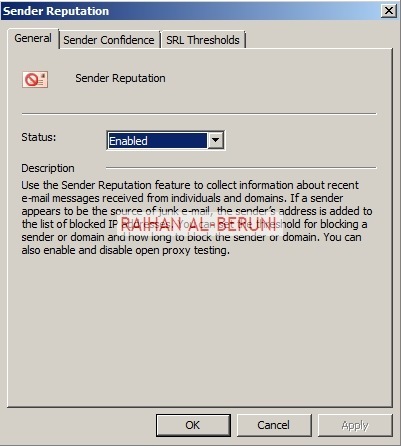 You can download FEP beta from Forefront Endpoint Protection site . 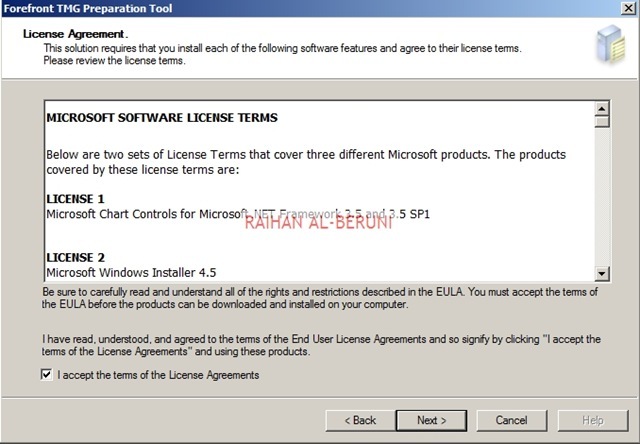 Installation and deployment guidelines are available on TechNet. Basic setup guide is available on this link . 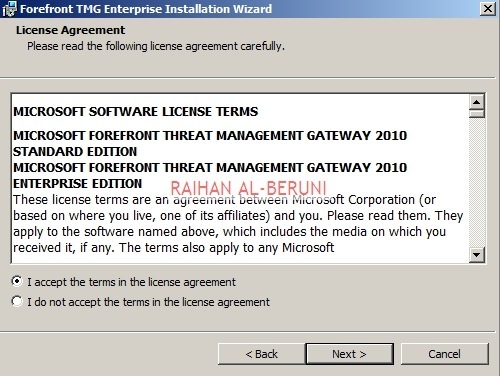 Forefront TMG 2010 provides standard and enterprise version. 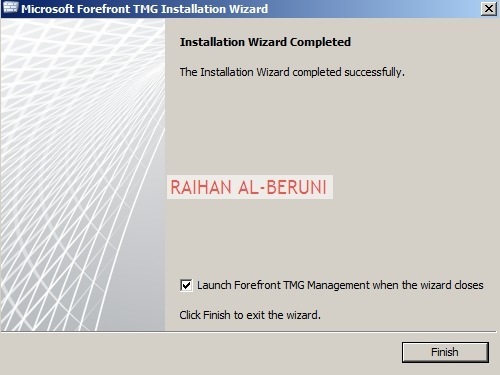 On an Enterprise version you can deploy Forefront TMG in a single server (standalone deployment) or multiple servers in Enterprise Management Array deployment. 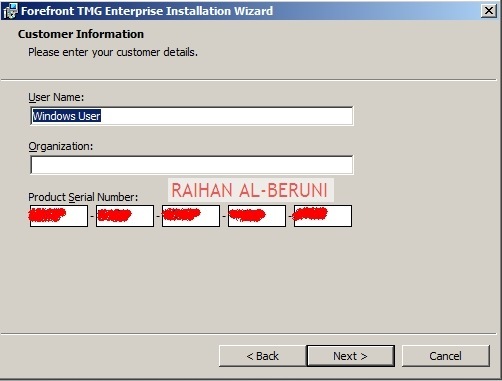 In an Enterprise deployment, one TMG server perform as an Enterprise Management Server in an Enterprise Management Array (EMS). And rest of the TMG servers join in that array. 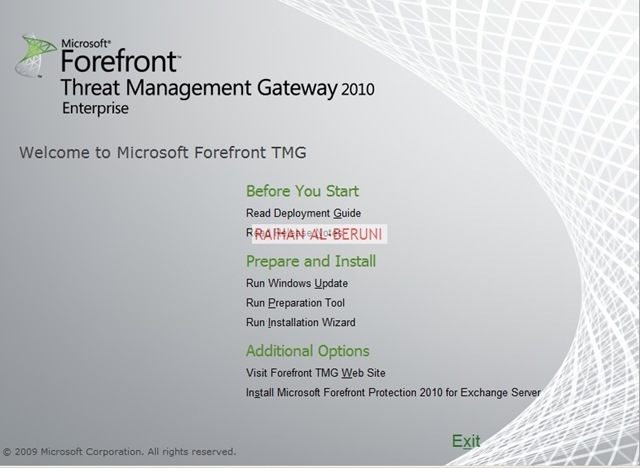 A Forefront TMG array is a collection of Forefront TMG servers that are managed centrally, via a single management interface. It provides better management capacity, redundancy, fault tolerance and High Availability in a organisation where HA is calculated by 99.9%. 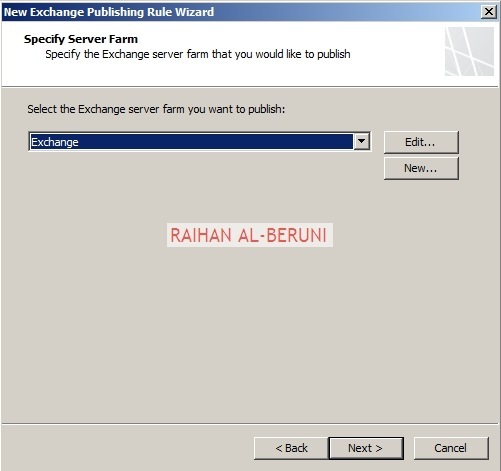 An Array stored following information in Enterprise Management Server. Array configuration settings, which are relevant for, and shared by, all members of the array. 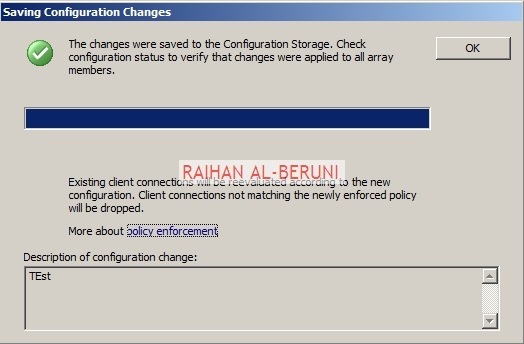 Server configuration settings, which are relevant only for a specific array member, for each of the array members. Standalone—Depending on the selected load balancing method, a standalone array can have up to 50 Forefront TMG servers managed by one of the array members that acts as the array manager; for more information about load balancing. 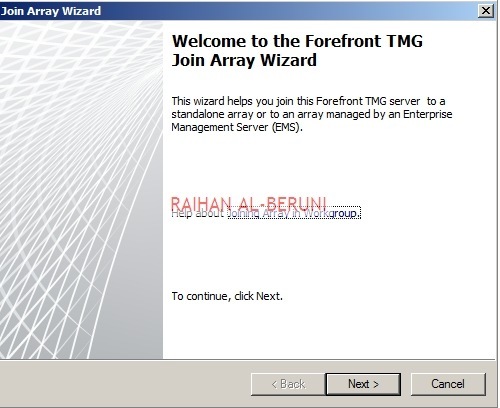 Use this type of array if Forefront TMG is deployed in a single logical location and handles a medium traffic load. EMS-managed—An EMS-managed array can have up to 200 Forefront TMG arrays, each holding up to 50 Forefront TMG servers, that are managed by an Enterprise Manager Server (EMS). Once you have set up an EMS-managed array, you can replicate its settings and manage up to 15 EMS-managed arrays using the same settings, thus enabling central management of up to 150,000 Forefront TMG servers. 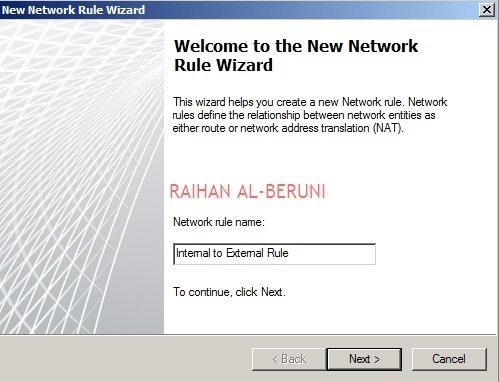 An integrated Network Load Balancing (NLB) Feature is available in Forefront TMG. 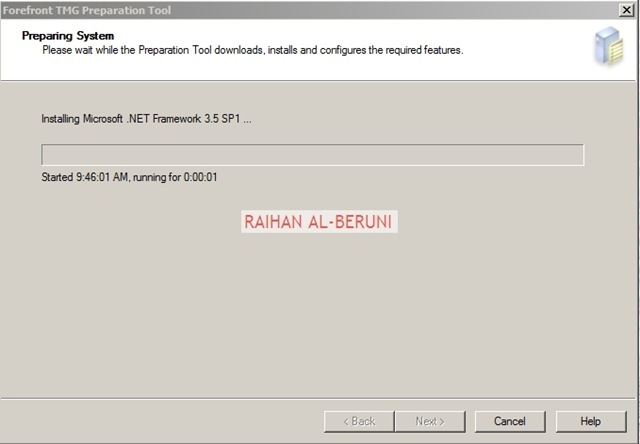 It enables you to take advantage of the benefits of central management, configuration, maintenance, and troubleshooting, which are not available if you configure NLB directly via the Windows-based NLB tools. 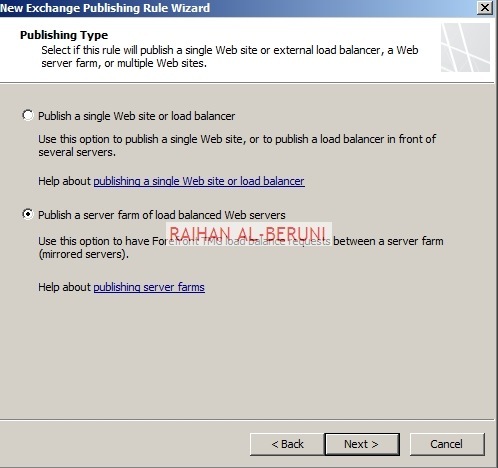 Load balancing serves to balance network traffic among array members, so that traffic is optimized across all available servers. 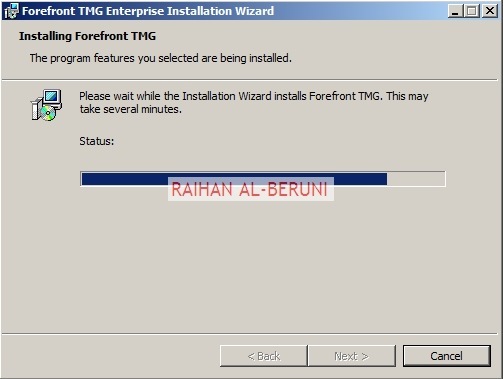 Check invoke and Click Finish once installation is done. 1. 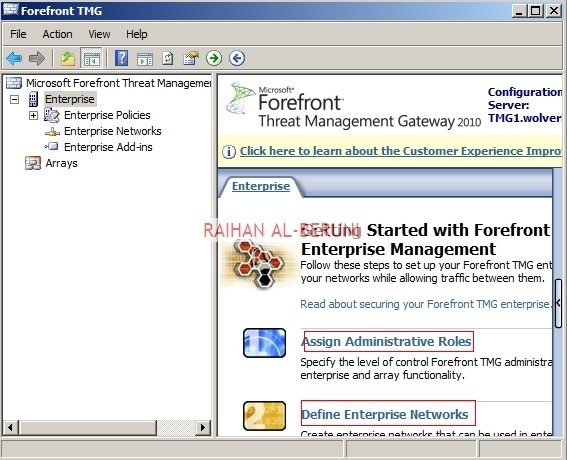 In the Forefront TMG Management console, in the tree, click the Enterprise node. 2. On the Tasks tab, click Assign Administrative Roles. 1. 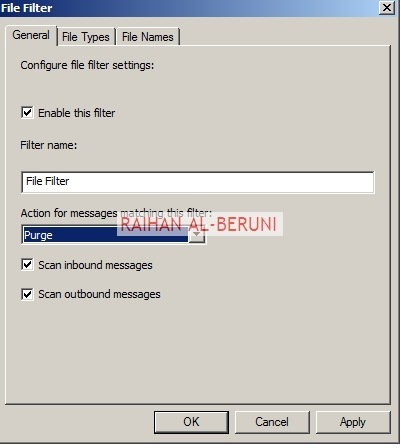 In Group or User, enter the name of the group or user that will be allowed to access information stored in the local instance of Active Directory Lightweight Directory Services (AD LDS), and monitor arrays in the domain. 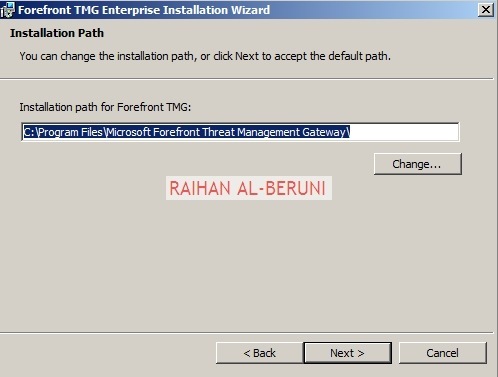 Forefront TMG Enterprise Administrator—Authorizes the specified group or user to perform all administrative tasks in the enterprise and arrays in the domain. 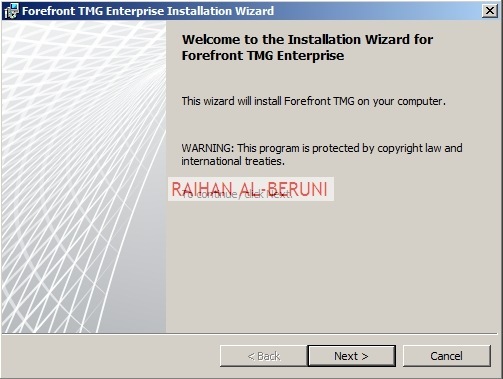 Forefront TMG Enterprise Auditor—Authorizes the specified group or user to perform monitoring tasks, and to view enterprise and array configuration. 4. When you have finished, click OK.
5. In the details pane, click the Apply button, and then click OK.
1. In the Forefront TMG Management console, in the tree, click the Forefront TMG node. 1. 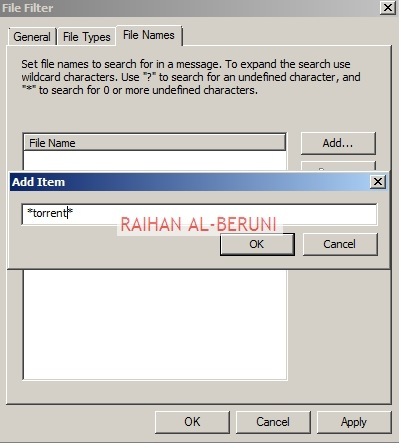 In Group or User, enter the name of the group or user that will be allowed to access information stored in the local instance of AD LDS. 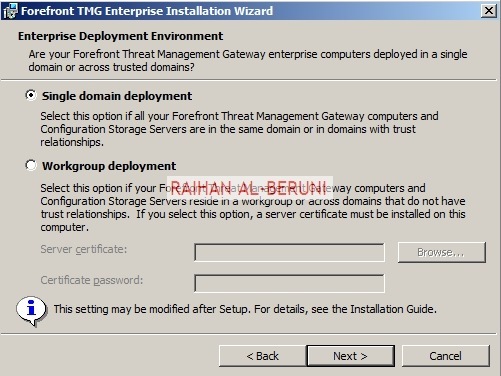 Forefront TMG Array Administrator—Authorizes the specified group or user to perform all administrative tasks in the array. 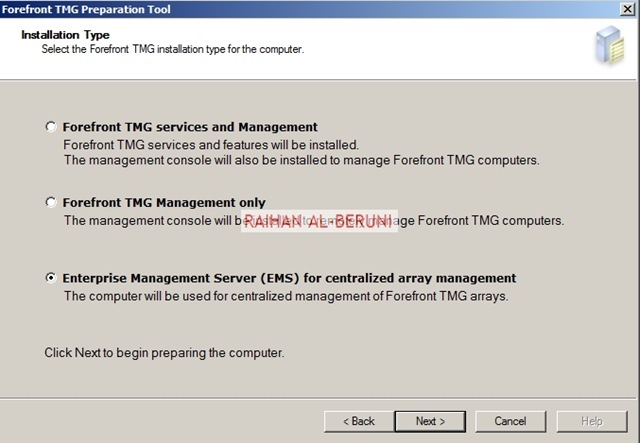 Forefront TMG Array Auditor—Authorizes the specified group or user to perform all monitoring tasks, and to view the array configuration. 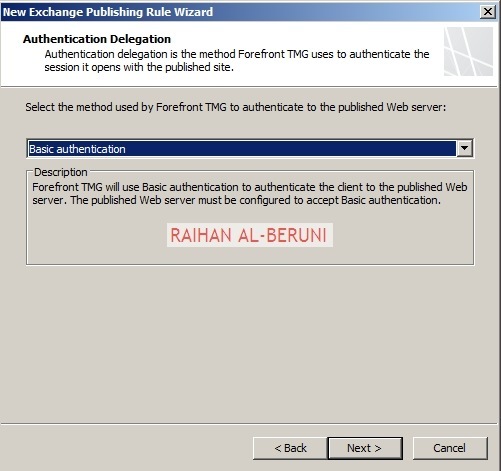 Forefront TMG Array Monitoring Auditor—Authorizes the specified group or user to perform specific monitoring tasks. 1. On the EMS, in the Forefront TMG Management console, Right click on Arrays. In the task pane, click New Array. 2. 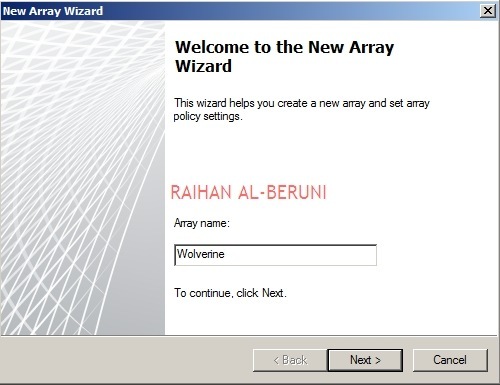 In the New Array Wizard, on the Welcome to the New Array Wizard page, enter the name of the array. 3. 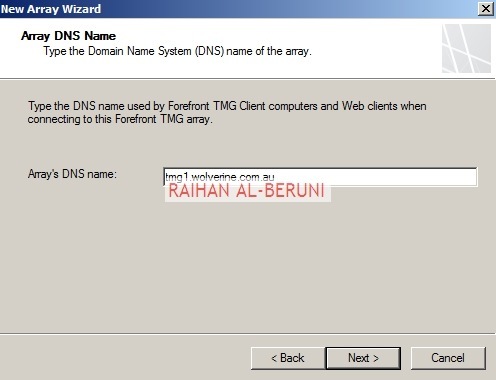 On the Array DNS Name page, enter the Domain Name System (DNS) of the array. 4. 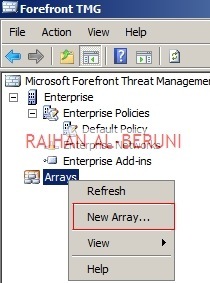 On the Assign Enterprise Policy page, in the Select the Enterprise policy to apply to this new array list, click the enterprise policy to apply to the array. 5. 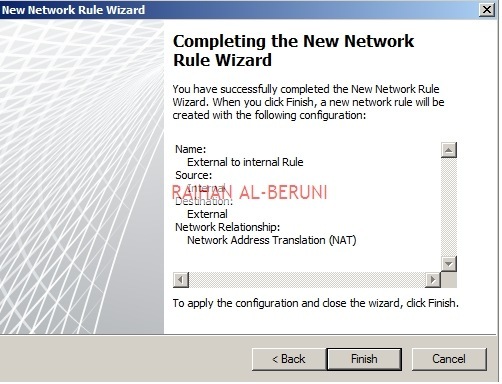 On the Array Policy Rule Types page, select the types of rules that may be created for the array firewall policy. 6. Click Finish and Apply Changes. Important! 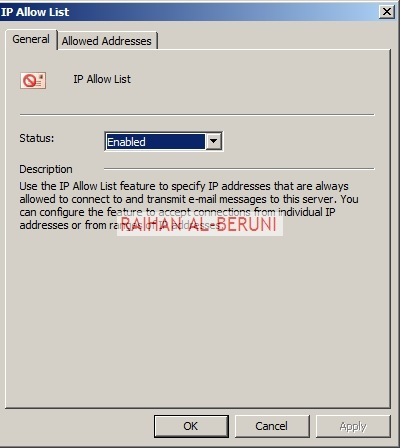 All internal networks must be able to ping DNS record mentioned in step3. 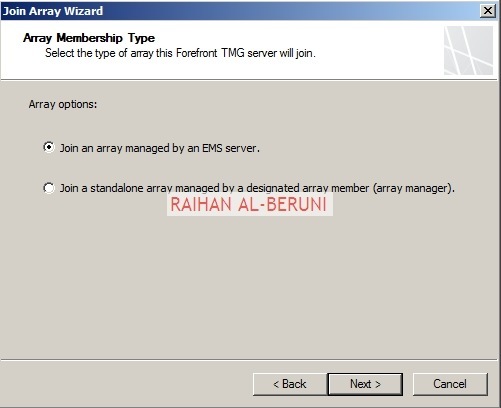 To join an enterprise array from second TMG server. 1. 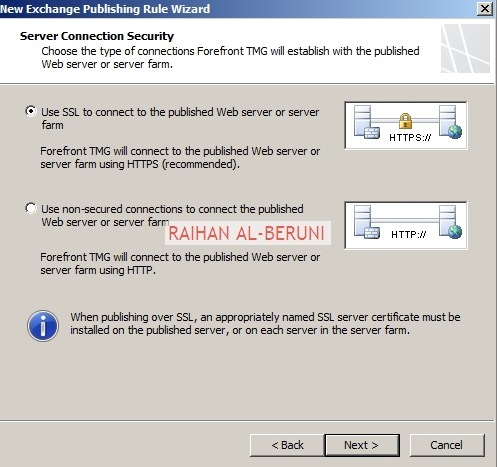 In the Forefront TMG Management console, click the server name node. 2. On the Tasks tab, click Join Array. 3. On the Join Membership Type page, click Join an array managed by an EMS server. 4. 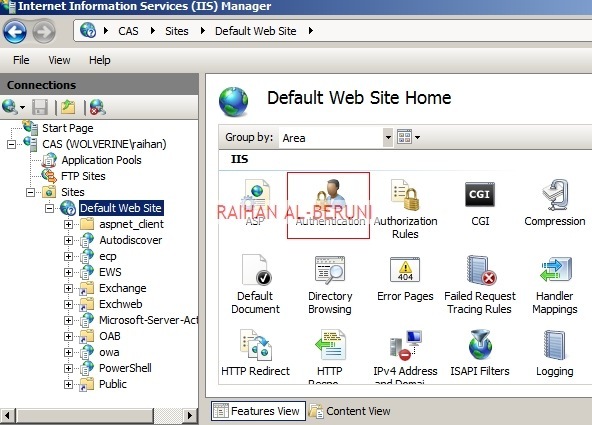 On the Enterprise Management Server Details page, enter the fully qualified domain name (FQDN) of the EMS server, and then click the user account form used to connect to the server. 5. 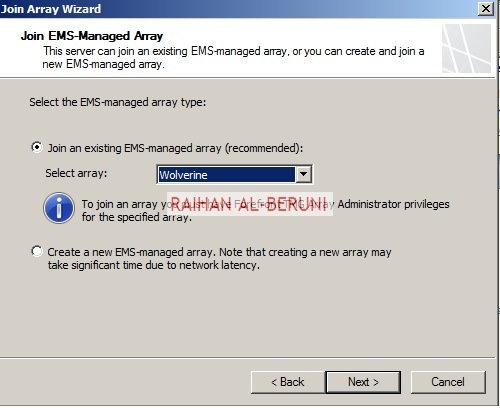 On the Join EMS Managed Array page, select whether to join an existing EMS managed array, or to create a new EMS managed array. 6. 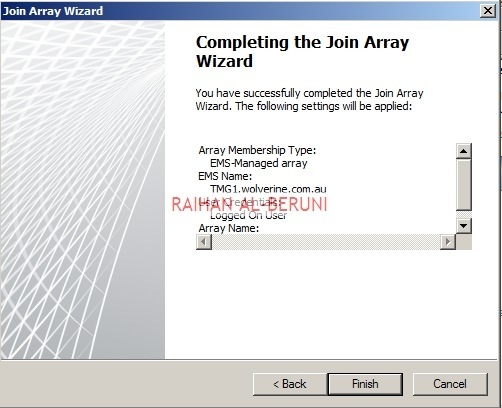 If you selected to create a new EMS managed array, on the Create New Array page, enter the details of the new array or Select existing Array, Click next and Click Finish. 1. 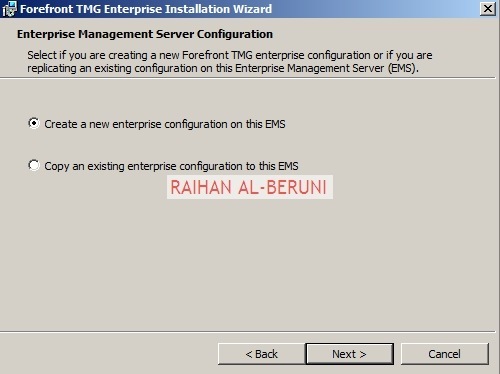 In the Forefront TMG Configuration console, in the tree, expand the ServerName of the array, and then click System. 2. 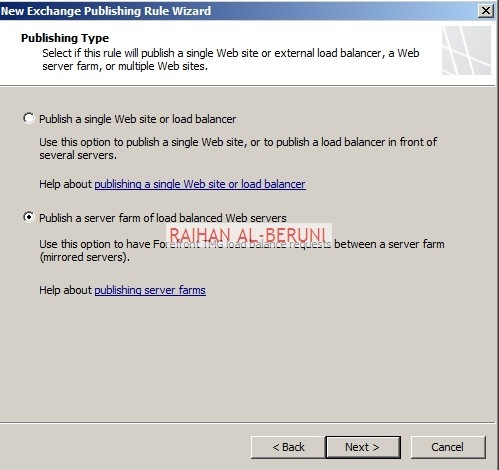 On the Servers tab, select a server, then on the Task tab, click Configure Selected Server. 3. 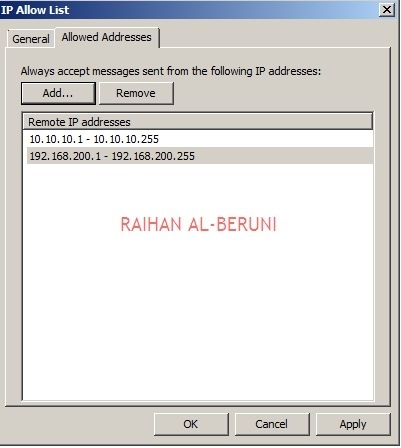 On the Communication tab, on the Intra-Array Communication dialog box, enter the IP address used to communicate with other array members. Important! Apply changes after every configuration has been done in TMG EMS. 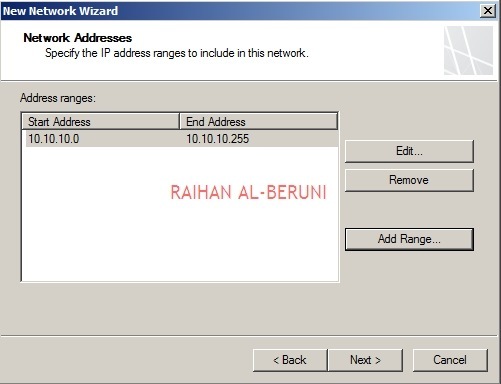 IP addresses for network adapters associated with the same network should be identical on each array member. 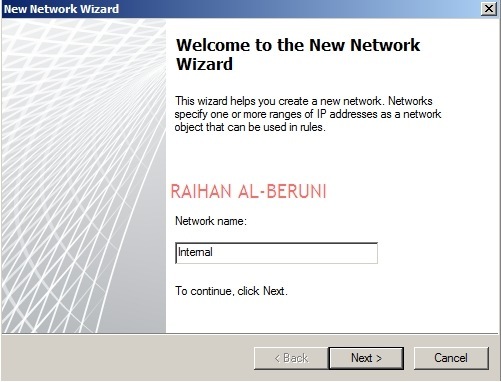 Click on Enterprise Networks, Click Create a New Network Wizard or editing a selected network from Taskpad. 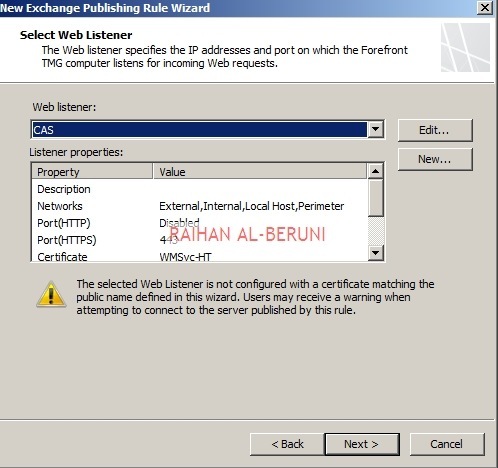 The list of network adapter settings configured in Windows Server is logged to the Network Adapters tab in the Networking node. You can edit the network adapter settings. Log on to Forefront TMG server as an administrator. 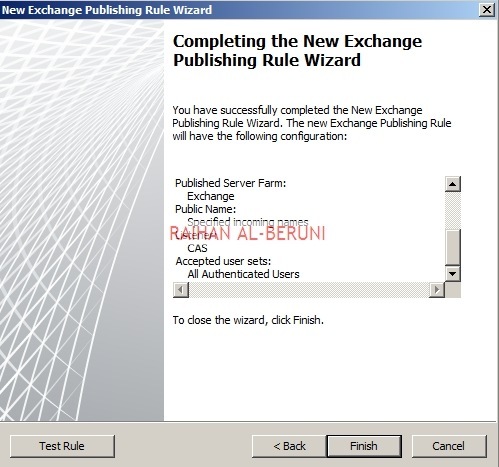 Start menu>All Program>Click Forefront TMG management>Expand Forefront Server>Right Click on Firewall Policy>Click New>Click Exchange Web Client Publishing Rule>Type Rule Name>Click Next>Select Exchange 2010 from Exchange version>check Exchange ActiveSync. Click Next. Now follow the screen shots for rest of the configuration. 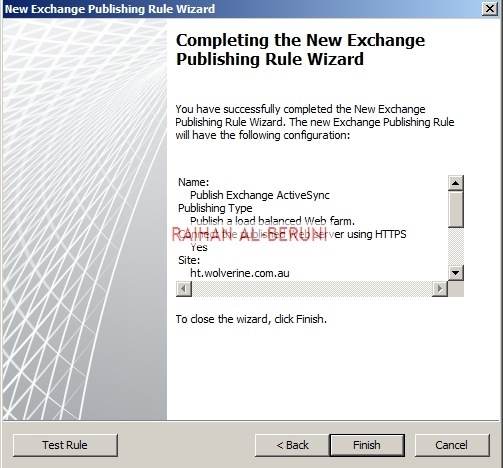 Once, Exchange ActiveSync published. Now You have to setup authentication type mentioned earlier. 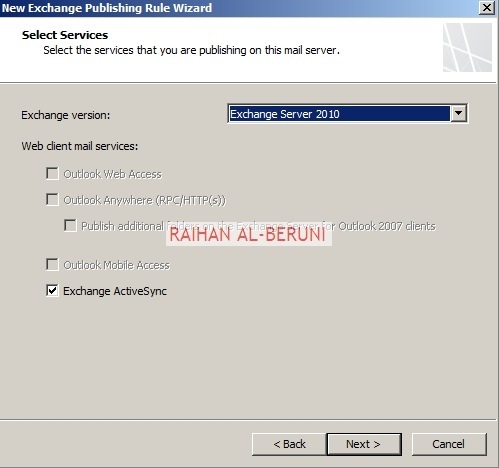 Click on E-Mail Policy>Select E-Mail Policy Tab>Select SMTP/Internal/External Policy you have created earlier for Outlook Web Access using Forefront TMG 2010: Publish Outlook Web Access and Exchange Servers using Forefront TMG 2010 this link. 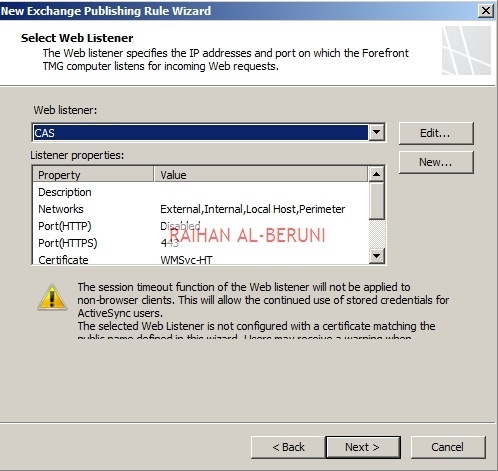 Double click on the policy>click Listener Tab>Click on Advanced>check same authentication type (for example: basic authentication) selected in this rule. 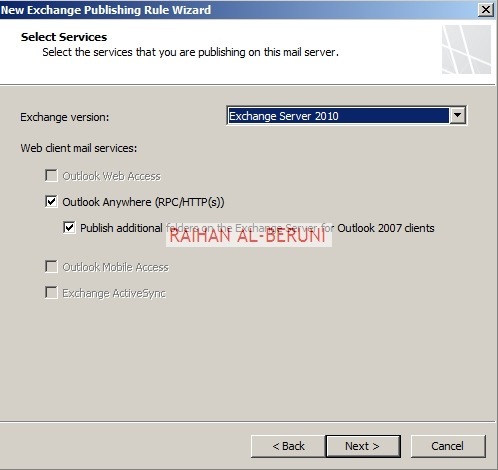 Apply and Ok. Repeat all other rules you have created such as OWA, Outlook Anywhere. In the exchange ActiveSync publishing rule, I have selected basic authentication. 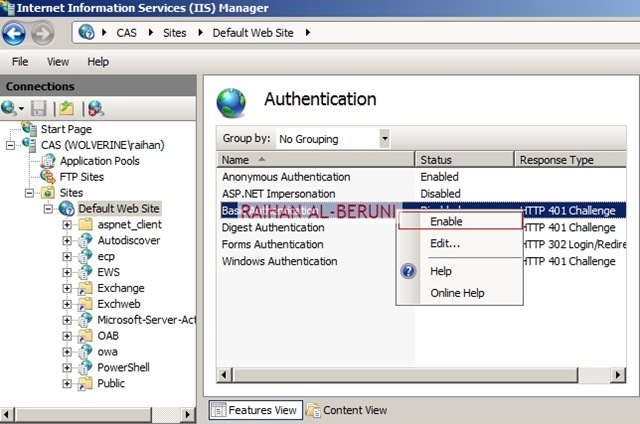 So I have to setup authentication type in the IIS of CAS server placed in DMZ or perimeter. Now log on to Exchange CAS server. 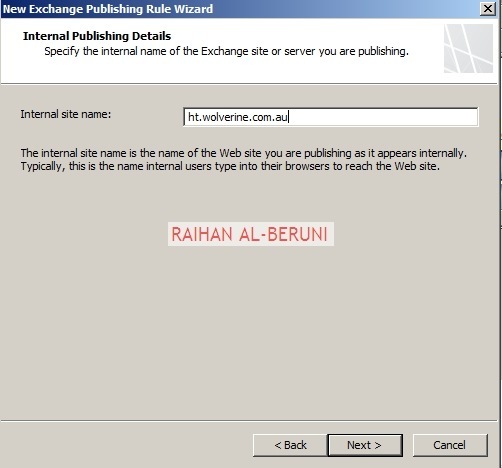 Start menu>Administrative Tools>Internet Information Services (IIS) manager>Click Default Web Site. On the right hand side window, double click on Authentication. 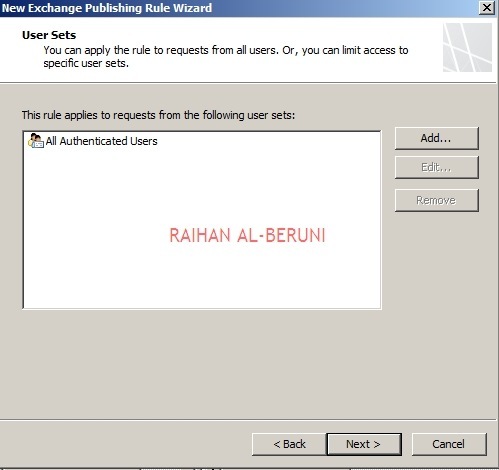 Now select basic authentication>right click and enable basic authentication. 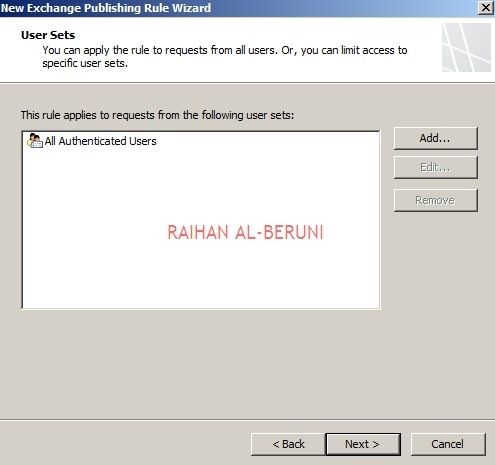 If you have selected different authentication type in exchange publishing rule then select and enable the authentication type as appropriate for your situation. 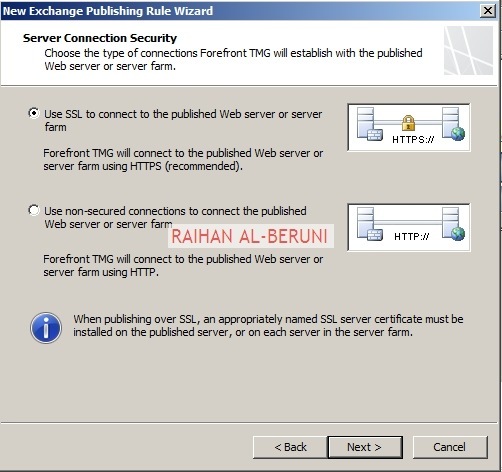 Log on to Forefront TMG server as an administrator. 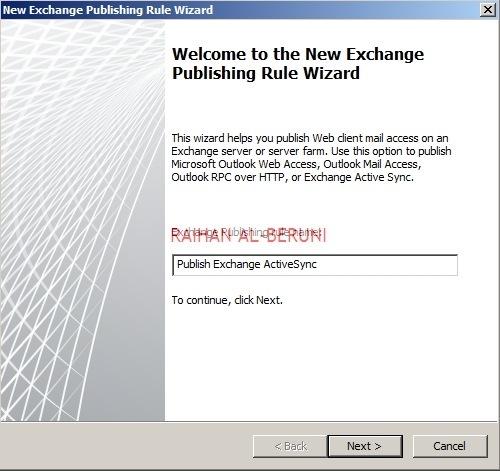 Start menu>All Program>Click Forefront TMG management>Expand Forefront Server>Right Click on Firewall Policy>Click New>Click Exchange Web Client Publishing Rule>Type Rule Name>Click Next>Select Exchange 2010 from Exchange version>check Outlook Anywhere and Publish additional folders on the exchange server for outlook 2007 clients. Click Next. Now follow the screen shots for rest of the configuration. Once you click finish then apply changes.